Are you in the Albuquerque-metro area? We are interested in your decommissioned electronic and computer equipment. Please email us to see how we can help you recover valuable dollars for your used equipment, or how we can help you recycle or salvage it. We buy, recycle, and salvage telephones, computers, routers, switches, PBX equipment, electronics, video and audio equipment, UPS systems, and all manner of telecom and datacomm equipment. Are you in the Albuquerque-metro area? We recycle electronic and telephone equipment and keep tons of surplus plastics, metal and reusable equipment out of our New Mexico landfills. We do this by continuing the life cycle of telecom and computer equipment through refurbishing and reselling it. 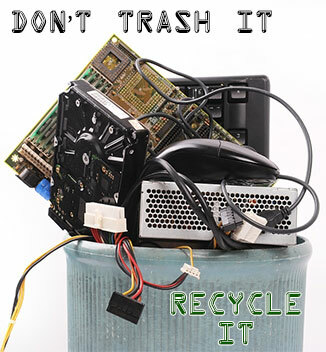 In many cases, we will come to you and pick up you decommissioned electronic and computer equipment. Email us today to see how we can help you recycle your used equipment. We also recycle many unusable items by stripping them and making use of whatever materials in them that can be resold. Our Eco-Friendly sorting keeps as much material as possible out of the waste stream and out of the landfills. If you have any questions about your equipment, how it can be recycled or reused, please contact us here info@dynamiccommsource.com or call 1-888-234-4975 today with any questions and one of our qualified engineers will get back to you with prompt friendly service.